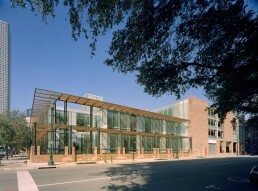 The expansion of the Christ Church Cathedral campus solidifies the congregation’s vision as the “church for downtown” while responding to its neighborhood. 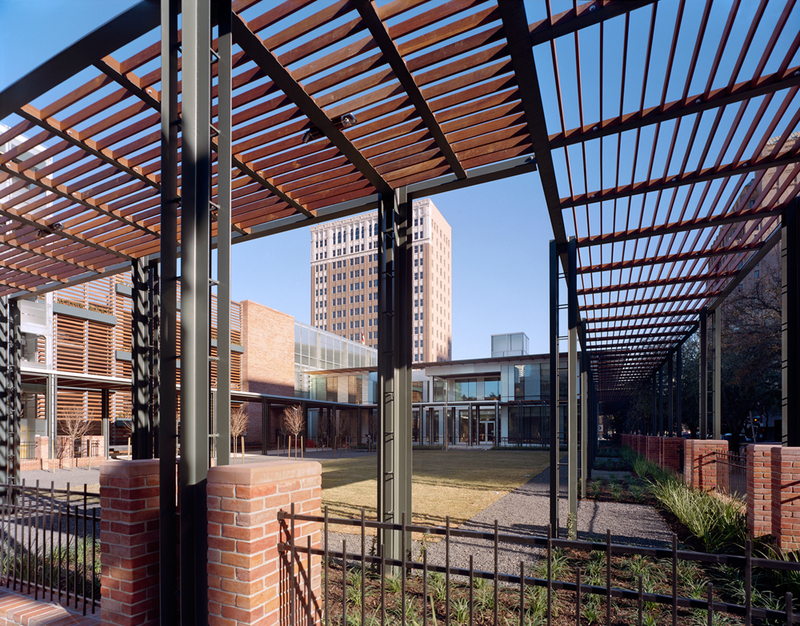 Four diverse program elements are carefully arranged on a full city block adjacent to the historic sanctuary. 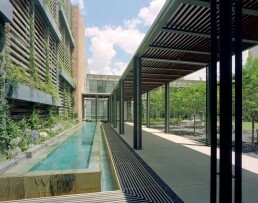 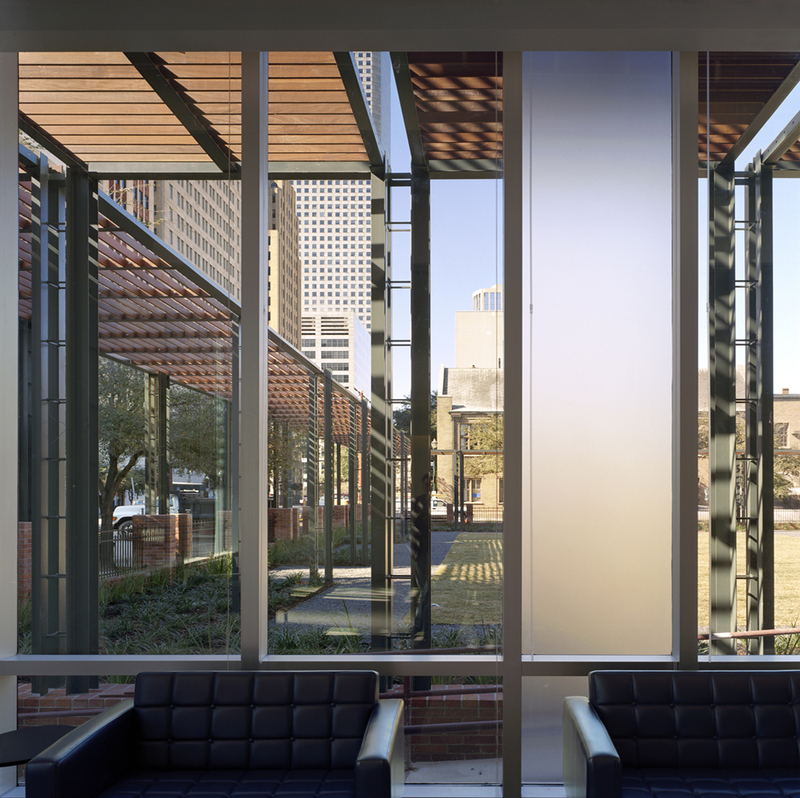 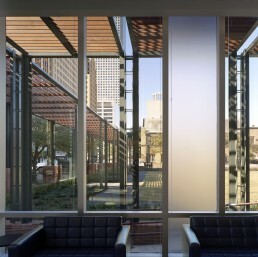 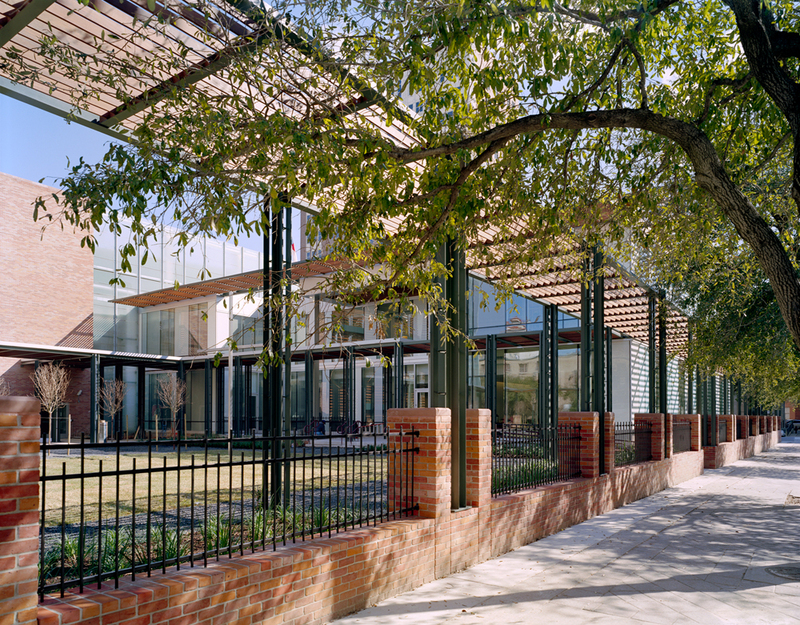 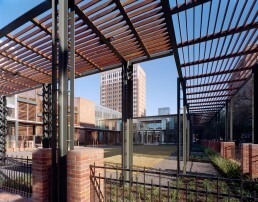 Central offices for the the Bishop and Diocese occupy an elegant, glass, two-story building enclosed in wood trellises. 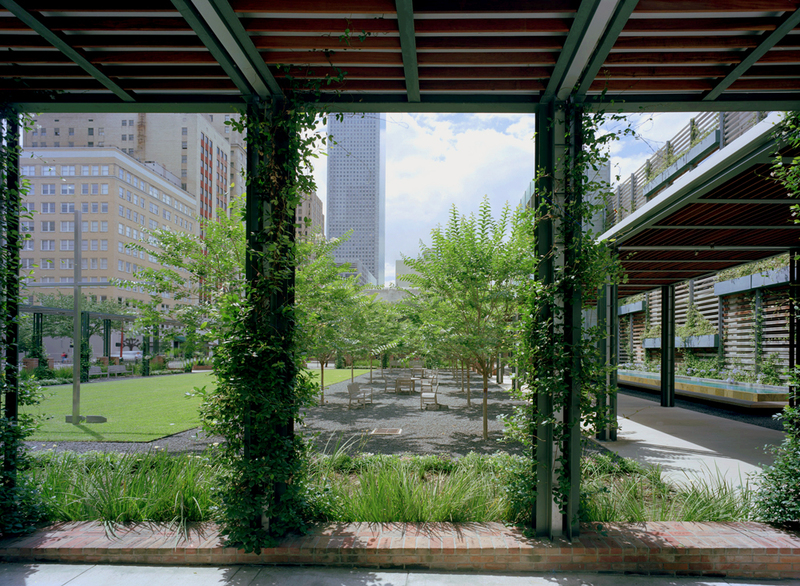 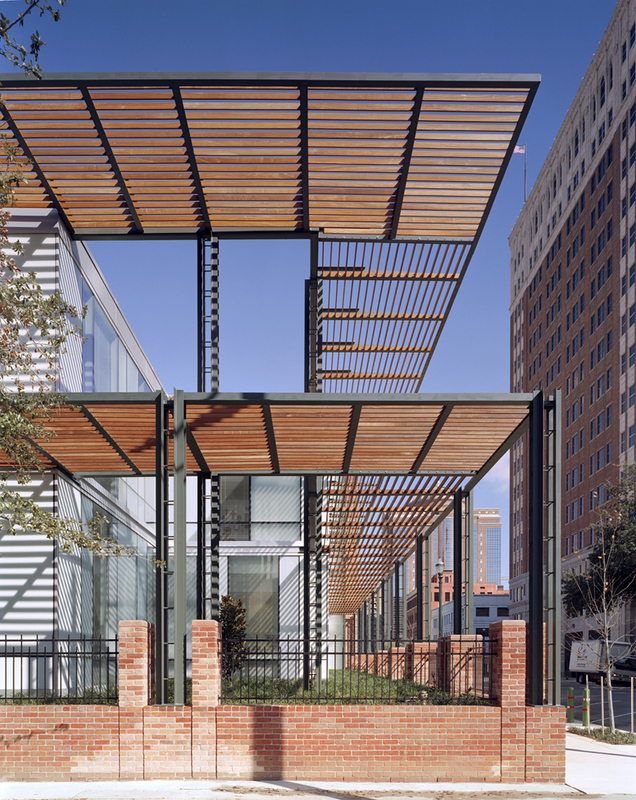 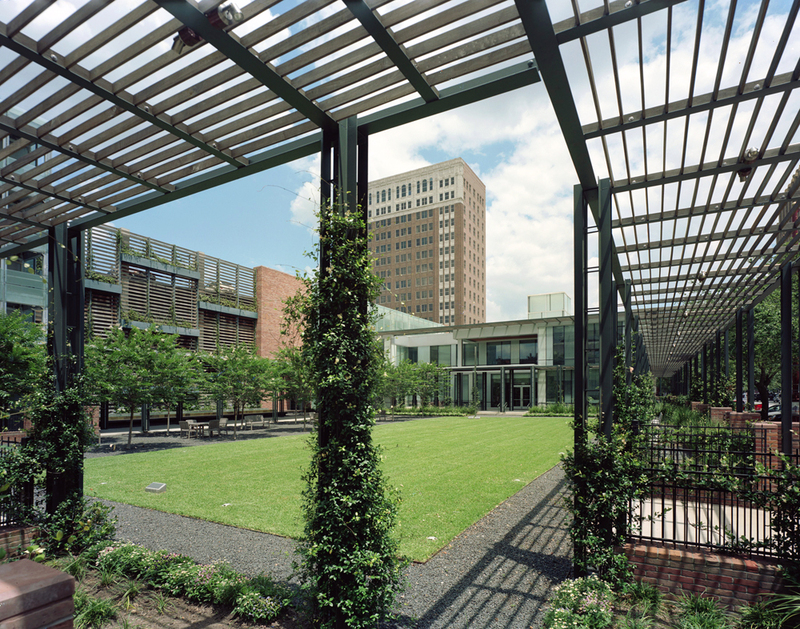 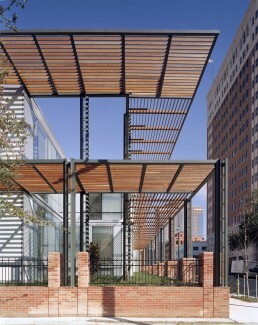 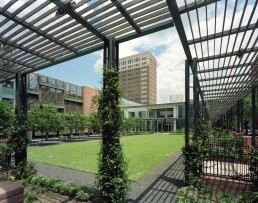 A quarter-block park creates a significant open space on prominent Texas Avenue. 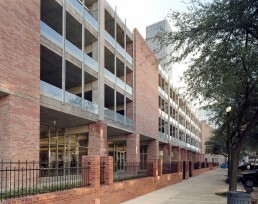 A 350-car parking facility integrates into a downtown area poorly served by garages. 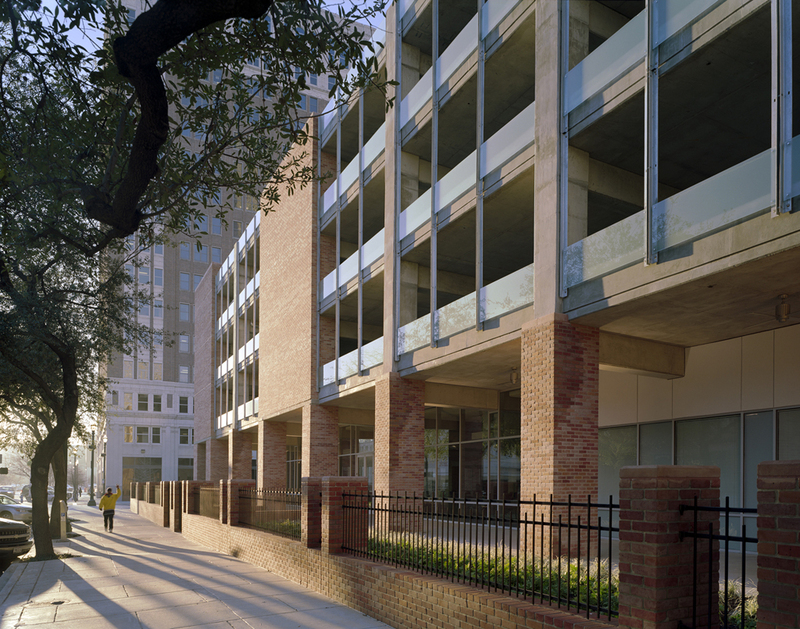 And, perhaps most fundamentally, the project establishes a home for the Cathedral’s expanding outreach programs, including critically needed facilities for the homeless. 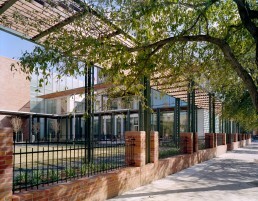 The new campus creates strong street spaces and well defined zones for a complex range of activities. 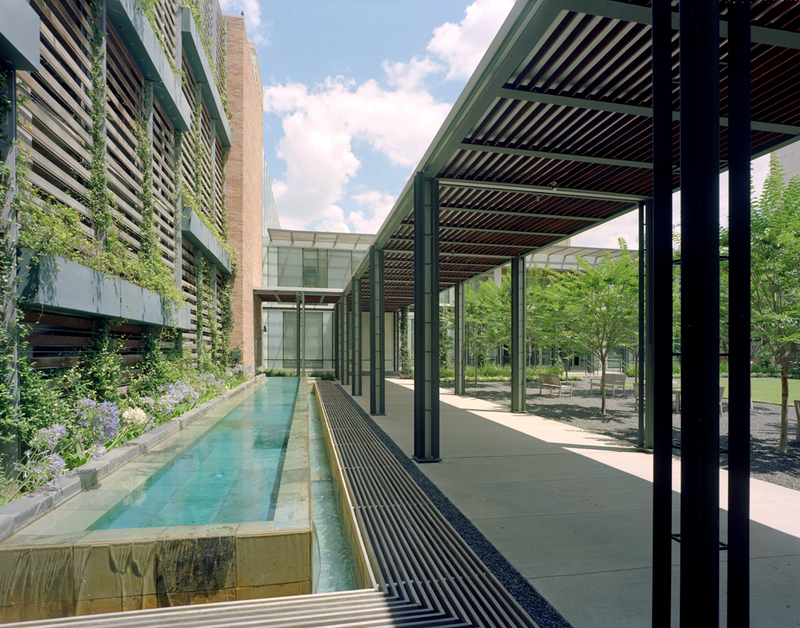 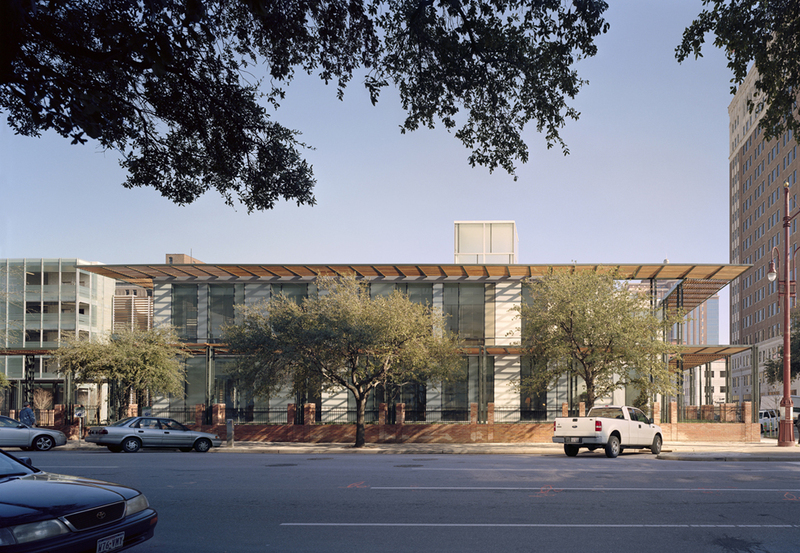 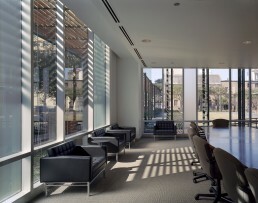 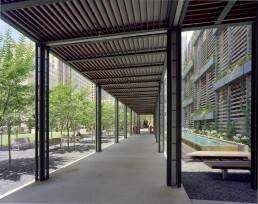 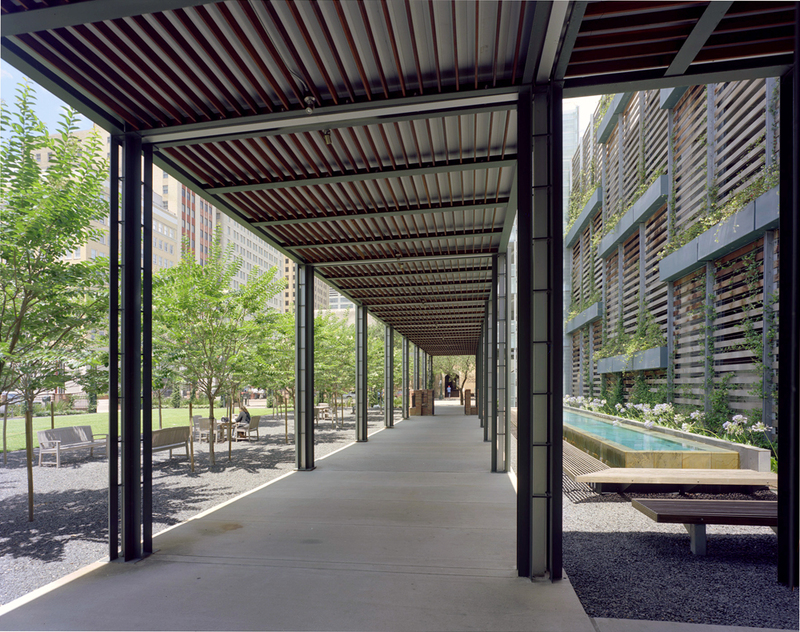 Local materials, extensive sun shading and daylighting contribute to a strong sustainability program. 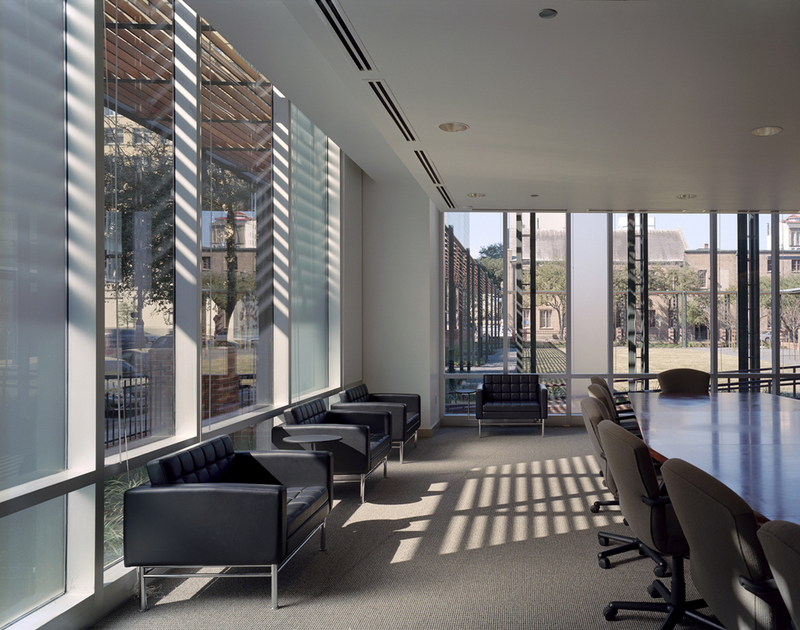 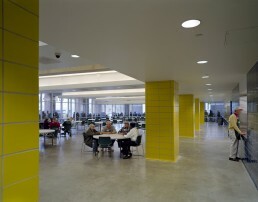 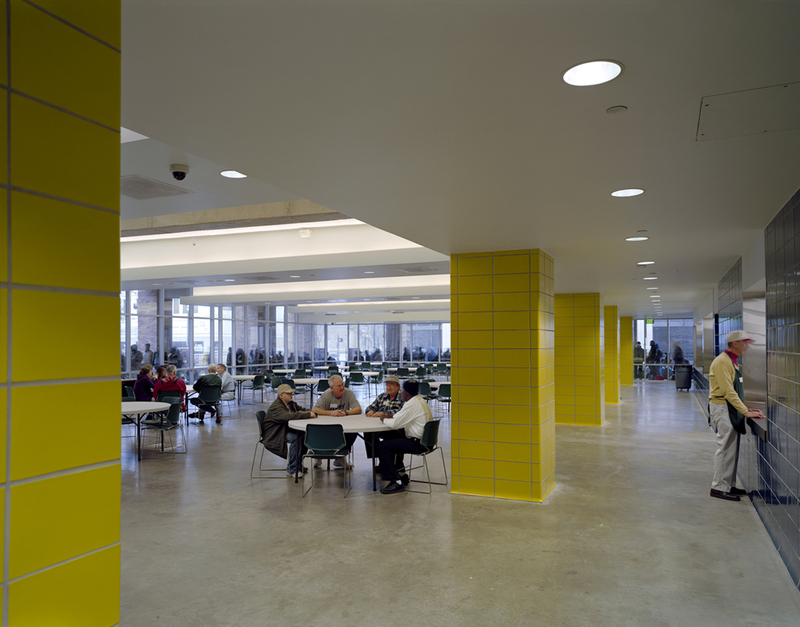 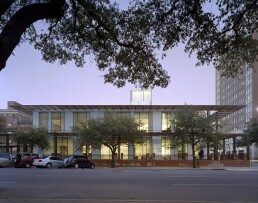 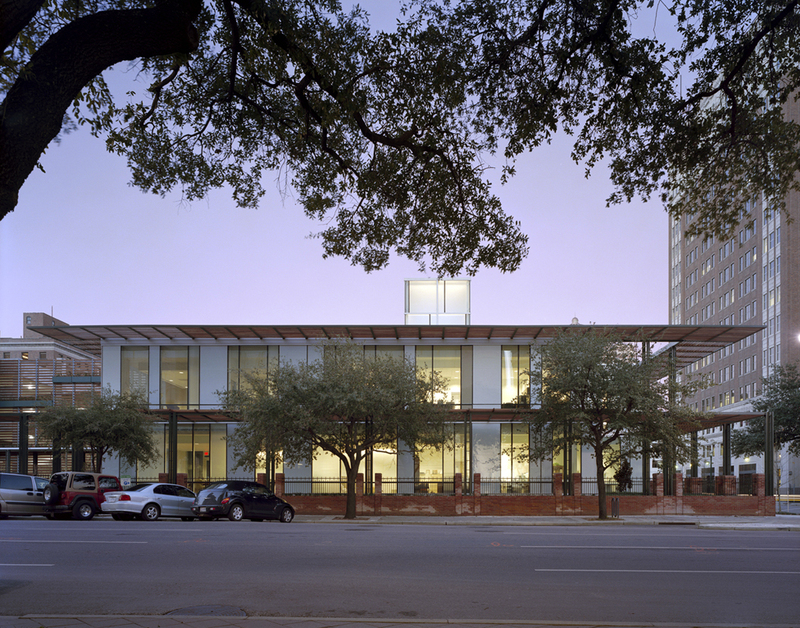 Larry Speck led the project’s design within the Leo A Daly/LAN + PageSoutherlandPage Joint Venture.